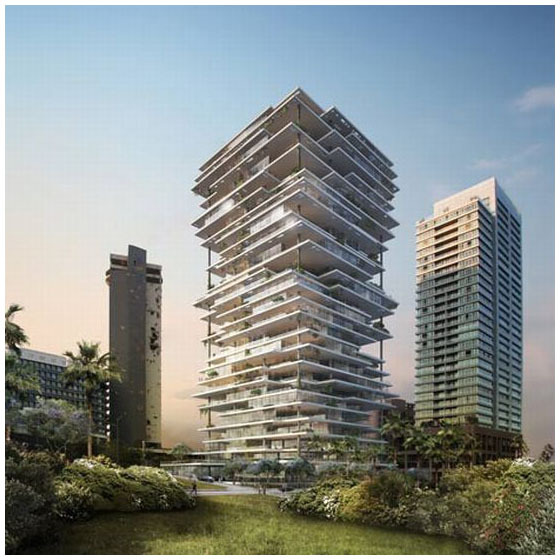 The rehabilitation of the city of Beirut, Lebanon has inspired famed Swiss architects Herzog & de Meuron to design Beirut Terraces. Situated in the prestigious Beirut Central District, this apartment tower is made up of slabs overlapping each other, with hanging gardens on every floor, creating a vertical village that blends the indoor and outdoor, views and privacy, landscape with architecture. The building’s extensive balconies allow natural light to come through, making it truly energy efficient. Due for completion in 2013, Beirut Terraces represents part of Beirut’s future with its contemporary waterfront living experience. 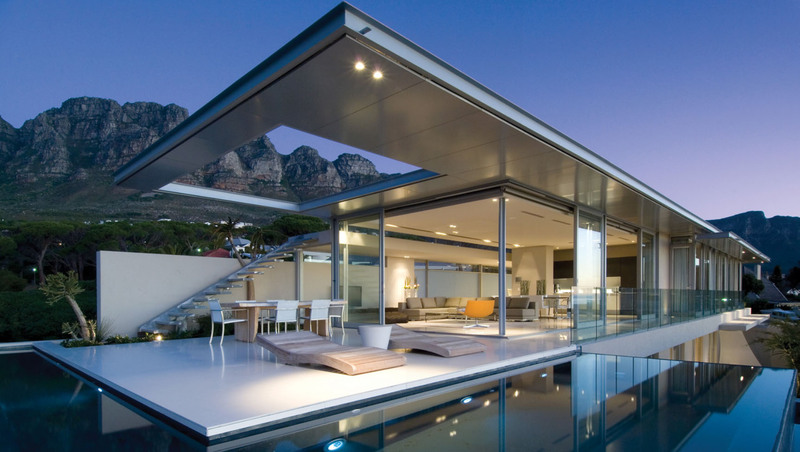 First Crescent in Camps Bay near Cape Town, South Africa, designed by Stefan Antoni Olmesdahl Truen Architects (SAOTA), is an innovative architectural masterpiece. 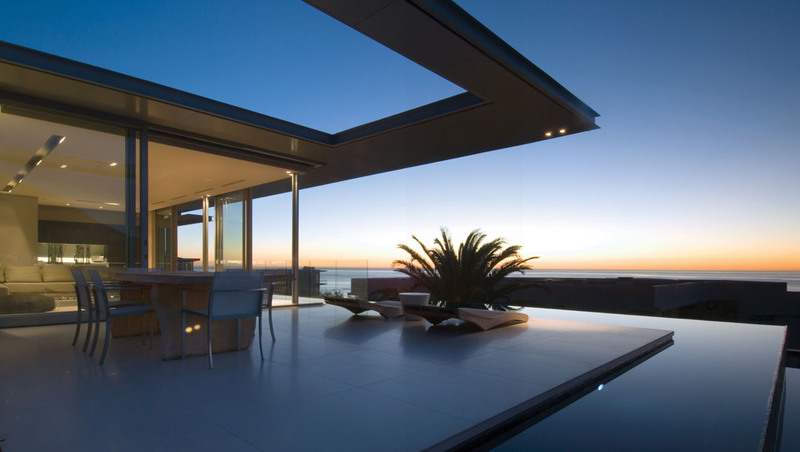 The linear arrangement of its architecture and transparent living spaces enhance the effect of the stunning ocean view. 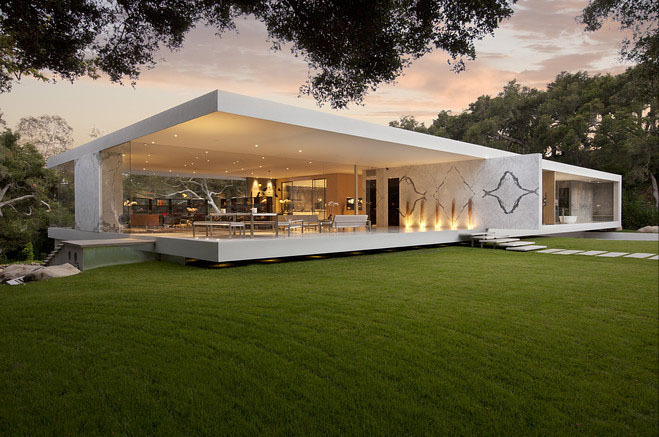 Los Angeles-based architect Steve Hermann is selling his “opus” — The Glass Pavilion. 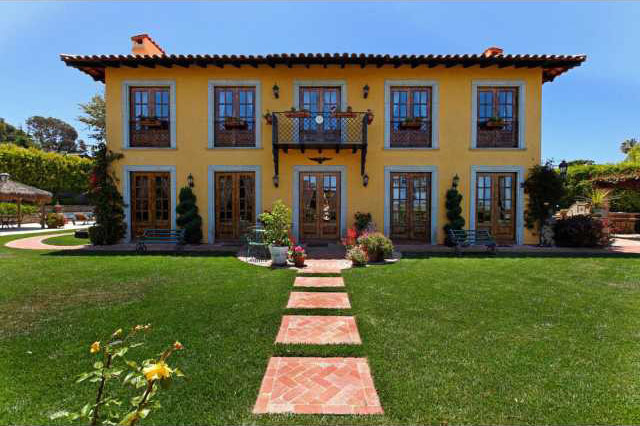 This contemporary 13,875-square-foot home in Montecito, California, which sits on three-and-a-half acres of land, features walls of glass, and has five bedrooms, five-and-a-half bathrooms, a kitchen with a wine room and an art gallery that displays the architect’s vintage car collection. 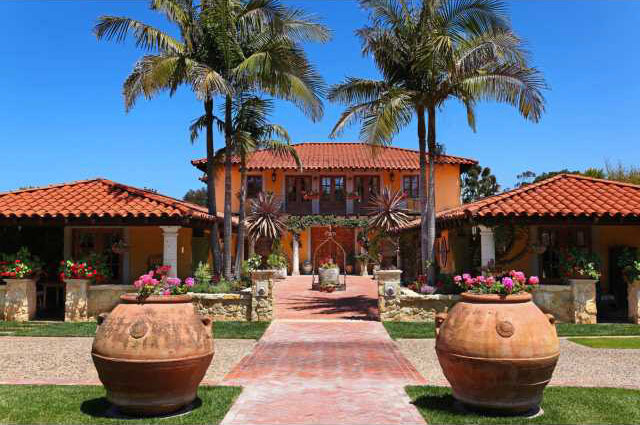 The home is listed for US$35 million. 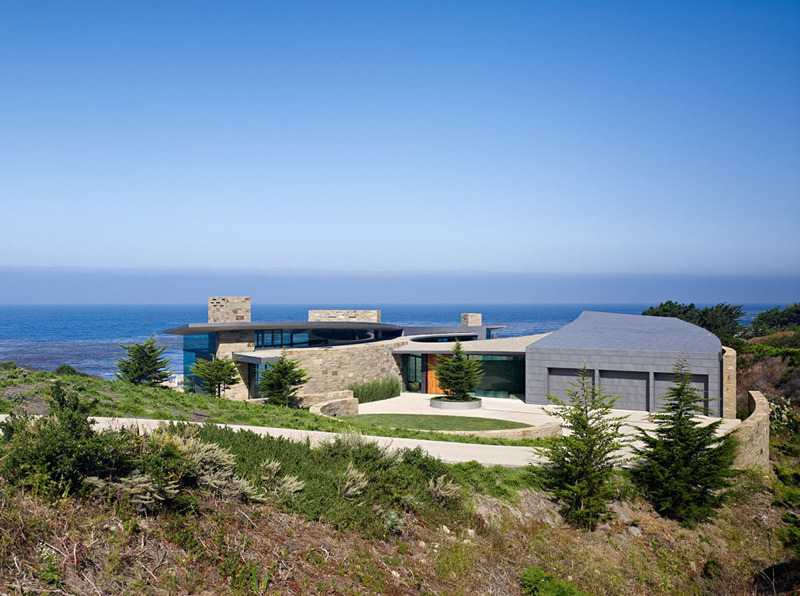 Otter Cove residence in Carmel, California designed by Sagan Piechota Architecture offers unobstructed views of the Pacific Ocean. 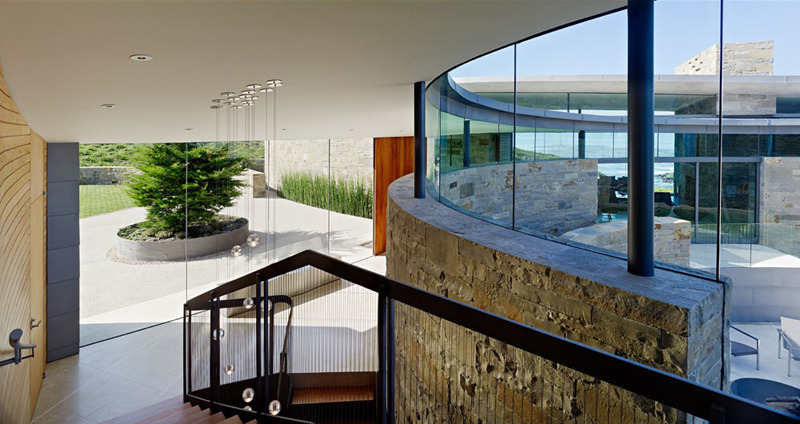 This cliffside residence strives to appear as a natural extension of the landscape. 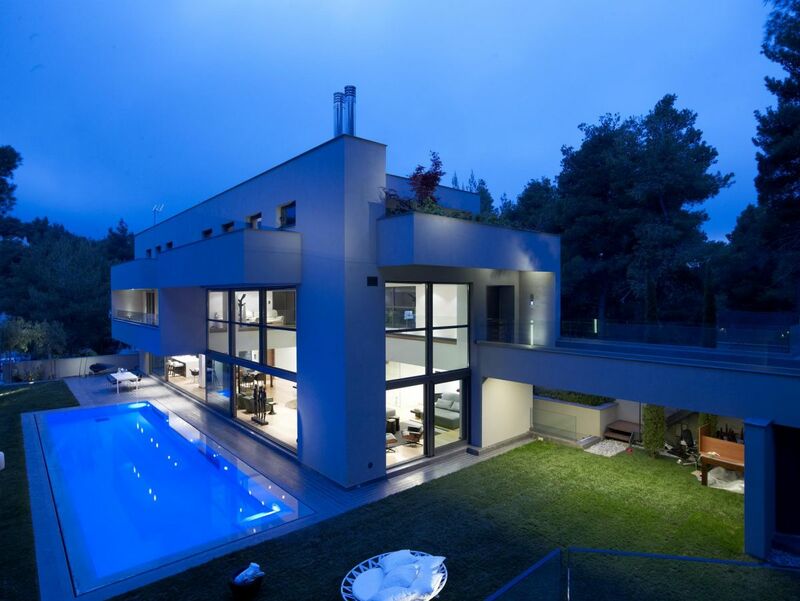 This modern house in Dionysos, Greece by Greek architect Nikos Koukourakis has large windows with clean-cut lines that allow natural light to travel throughout the house.